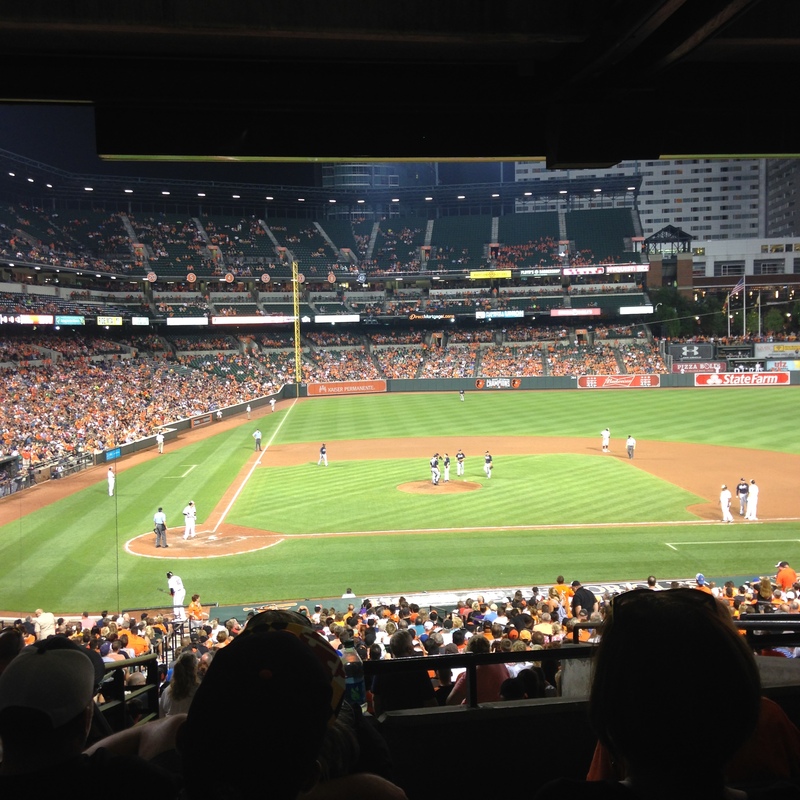 My week started with an O’s game as the Braves were in town. Adam proudly applauded Nick Markakis on his return to Oriole Park and my cousin who grew up in Georgia came up from DC for the game. 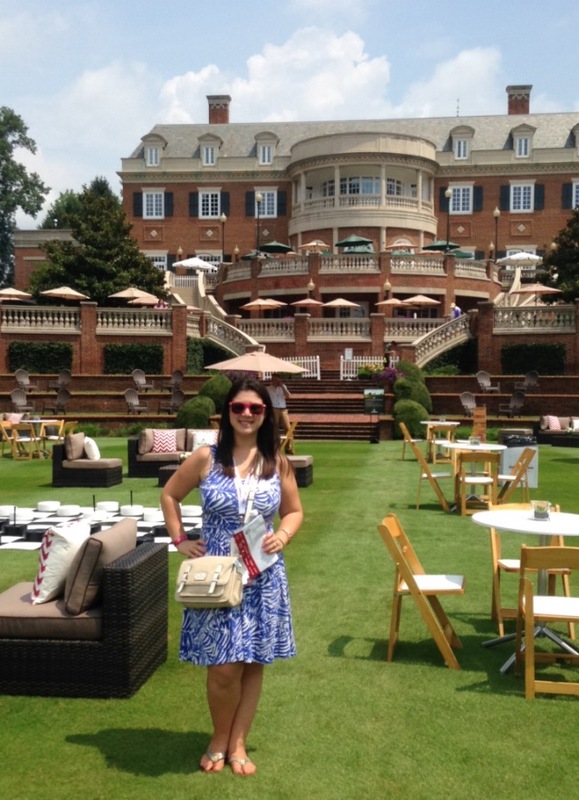 I went on a work outing to Virginia for the Quicken Loans National golf tournament. 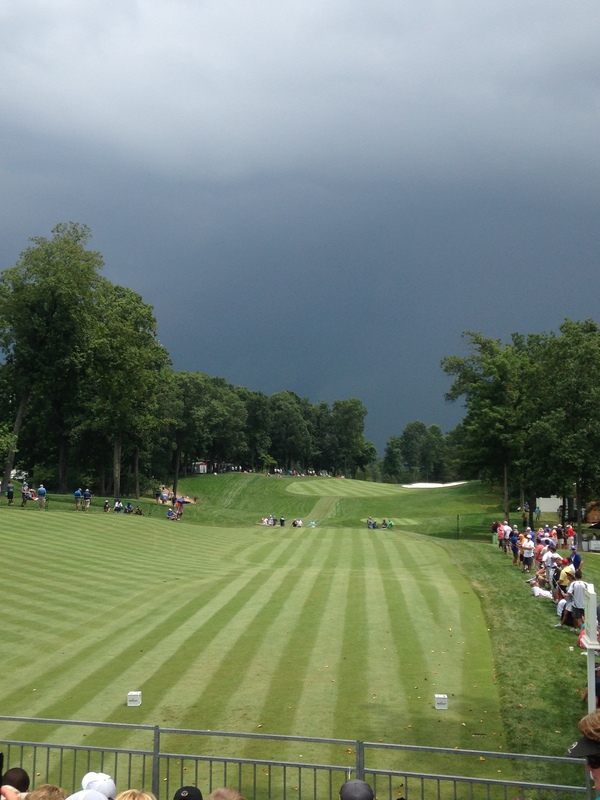 It was brutally hot and a rain delay (see those dark skies?) prevented us from seeing too much golf, but we still had a good time. My family is really into golf and the last time I was at this course was for the President’s Cup in 2005 on my 18th birthday! 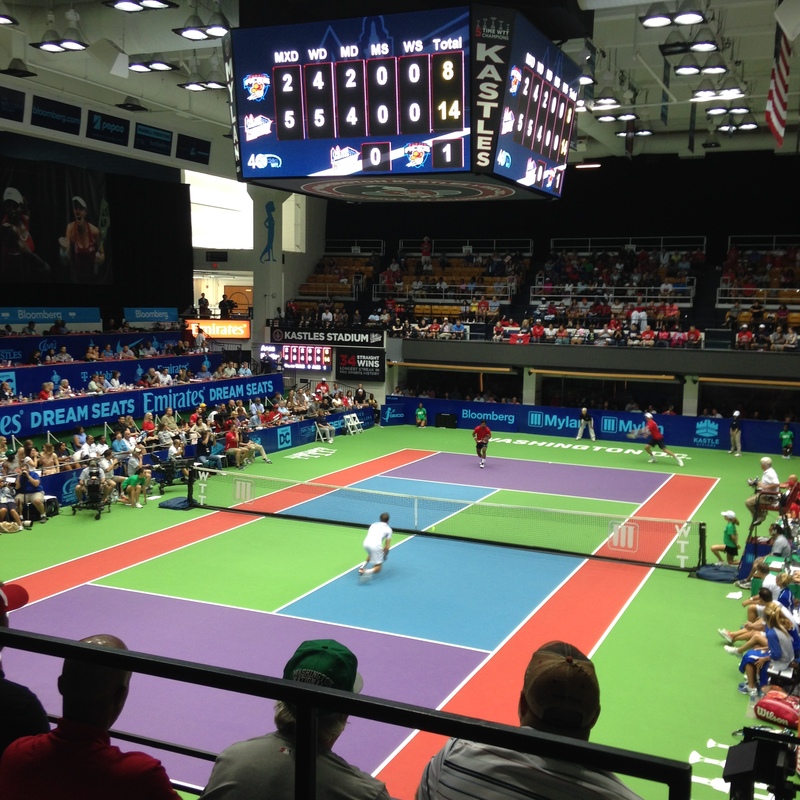 I also went to two Kastles matches including the league finals on Sunday where the Kastles won their 5th straight championship. #TennisDynasty. The match was at 11:30am so they served breakfast burritos and mimosas which was awesome. I could get used to more morning sporting events…I guess this is what living on the west coast is like during football season! 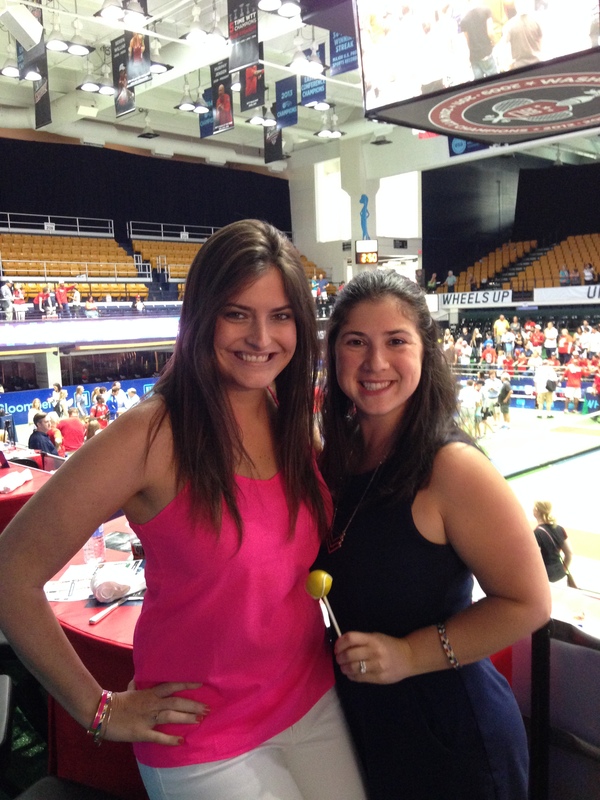 They also had tennis ball cake pops which were absolutely necessary. I should have capped off my week by attending the Ravens open practice on Monday, but I just didn’t have the strength. Did anyone go? Flicks from the Hill tonight at the AVAM is Awakenings. Check out Jeanette’s post on why it’s awesome. Next weekend’s Kegs and Corks Festival in Annapolis. I got a LivingSocial deal for two admissions for only $35 that includes a souvenir glass and samples of beer and wine. It seems like it will be a great afternoon of drinking and live music with friends. And because in the summer there is nothing better than drinking and live music outside, I also plan on checking out the Summer Social in West Shore Park (in the Harbor) on Friday the 21st to see New Romance and 80’s tribute band. Event is from 5-8pm with food and drink available from Dooby’s. What are you thinking about today? Any fun events you’re looking forward to? Also Bronycon (aka the My Little Pony fan convention) begins today in Baltimore! Be on the lookout for some awesome bronies! Okay, I am slacking on fun summer activities! You’ve been a busy lady!